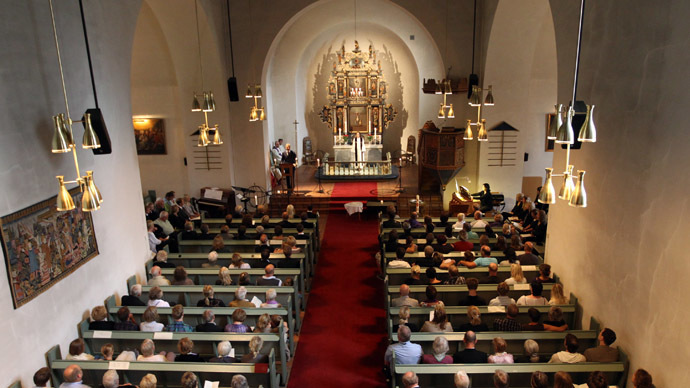 Norway has repealed a dormant law that made blasphemy a criminal offense. The move was in response to the massacre at the French satirical magazine Charlie Hebdo by radical Islamists, but has a symbolic significance only. The proposal to rush through the change was made February by Conservative MP Anders B. Werp and Progress Party MP Jan Arild Ellingsen, The Local reported. The legislators argued that keeping an anti-blasphemy law in the country's penal code was sending the wrong message. “This is a very unfortunate signal to send, and it is time that society clearly stands up for freedom of speech,” the two wrote in their proposal. Things I didn't know: till today, blasphemy was illegal in Norway. Now you can blaspheme all you want. Didn't say which religion, of course. The anti-blasphemy clause is part of Norway's 1902 penal code. A comprehensive amendment to it was passed in 2005, but has not come into force due to technicalities and may be postponed till as late as 2021. In 2009, the Norwegian government considered giving special protection to religious values, but the proposal was defeated in the parliament, which ended voting for repealing the blasphemy law. The last person to actually stand trial for blasphemy in Norway was famous writer Arnulf Overland, who was charged in 1933 for giving a lecture titled "Christianity, the tenth plague" to the Norwegian Students' Society. He was acquitted. The last person found guilty was journalist Arnfred Olsen was taken to court in 1912 for an article criticizing Christianity in the radical magazine Freethinkers.